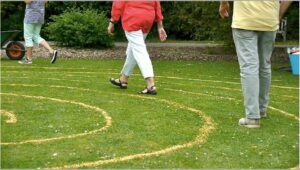 An opportunity to draw aside and reflect on your life’s journey as we unfold the history of the ancient form of the labyrinth and its use as a sacred space for prayer and meditation. 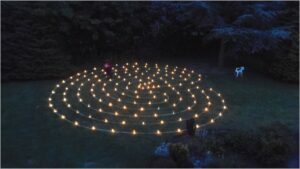 Whether you walk the turf labyrinth by candlelight, an indoor cloth ‘pebble’ labyrinth, or a hand-crafted wooden finger labyrinth, follow the winding path to the still and abiding centre. 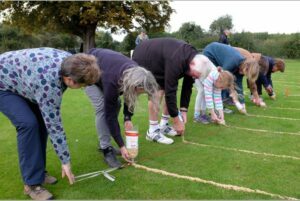 Plenty here to inspire and respond to – in prayer, poetry, prose or artwork.